110 volt 50 Hz Single phase. Heights of lift 3mtr - 30mtr. Speed 5 metres per minute. Closed headroom = when hook is fully up 480mm. 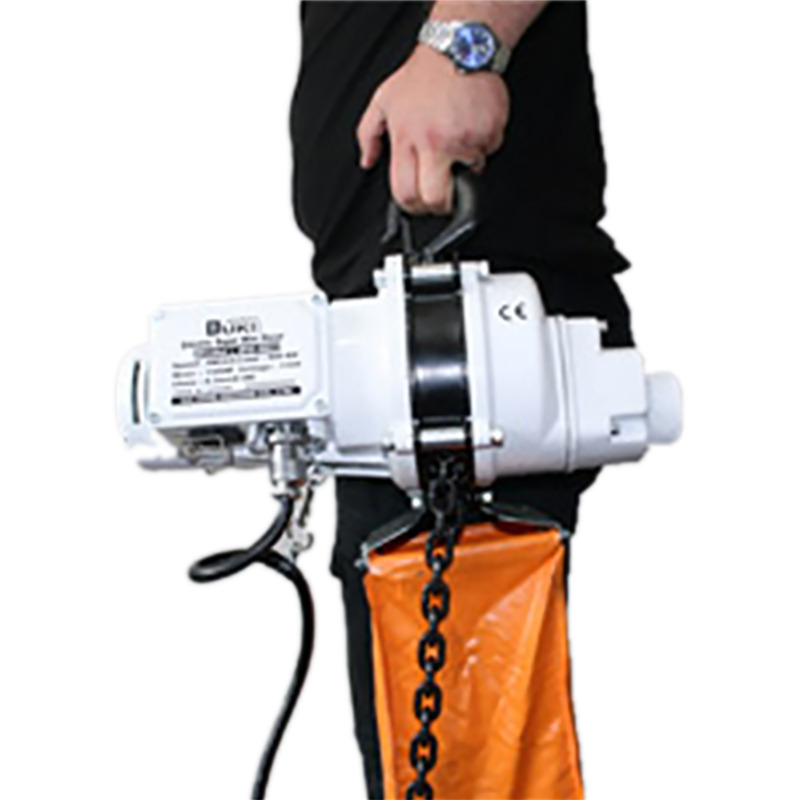 Lightweight and compact single phase hoist. Pendant control with emergency stop, length 3mtr. Power supply cable and plug. 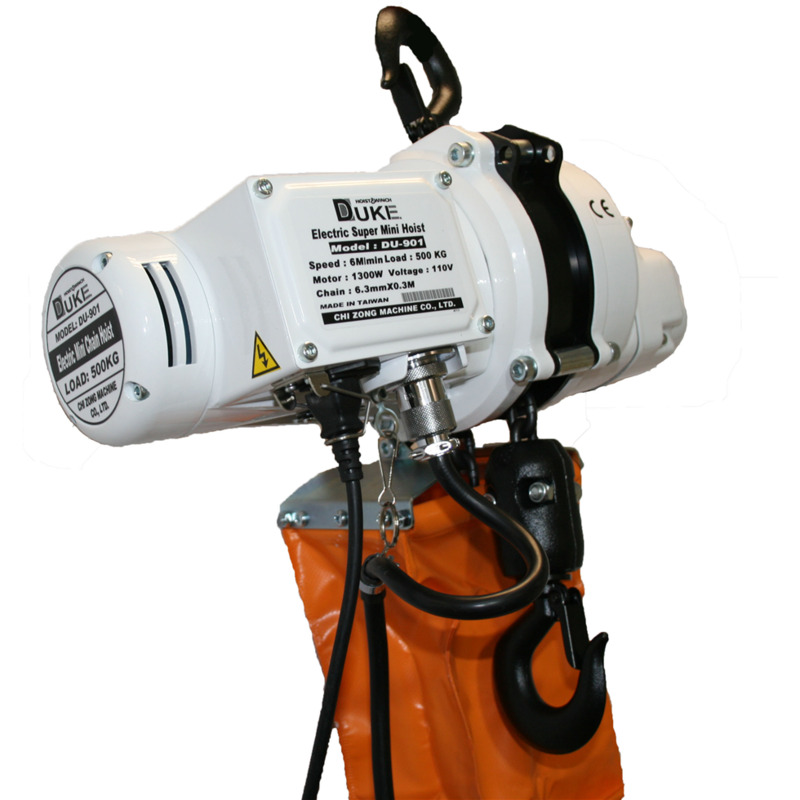 Ideal for many lifting applications such as construction,Industrial and rental companies. Heavy duty design and build. The Modular design makes the hoist easy to maintain and in turn provide a long service life. 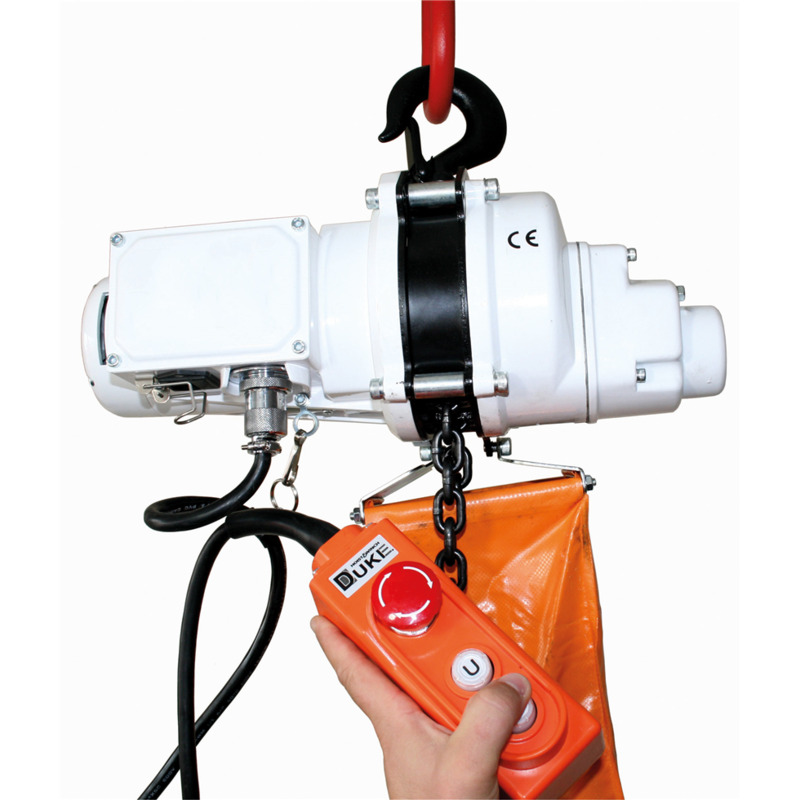 Duty cycle 30% - hoist can be used for 20 minutes maximum continues operation in 1 hour period. The frame and control enclosure provide protection against dust and water ingress plus we also offer a weather protection jacket [available at a small extra cost]. Power supply cabkle / plug length 5mtr. Supplied fully tested and certified. Brand Duke Hoist and Winch.